When you think enterprise ecommerce in the Right-Now Economy, you need to know that it all starts with a distributed cloud database built for hybrid cloud. From Safeway to eBay to Macy’s to Sony, leading companies across industries use DataStax to power their ecommerce initiatives. Read this ebook for a look into exactly how they use us and the results they’ve achieved. When you think enterprise ecommerce in the Right-Now Economy, you need to know that it all starts with a distributed cloud database built for hybrid cloud. 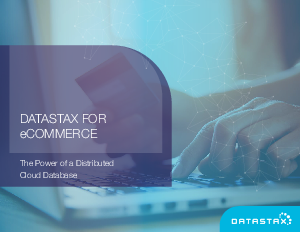 From Safeway to eBay to Macy’s to Sony, leading companies across industries use DataStax to power their ecommerce initiatives. Read this ebook for a look into exactly how they use us and the results they’ve achieved.